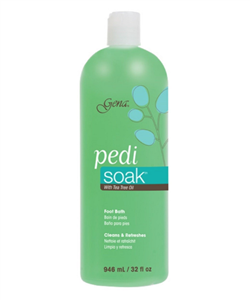 Gena brand Pedi Soak with tea tree oil. A clean and refreshing foot bath for pedicures! 946/32 oz size.